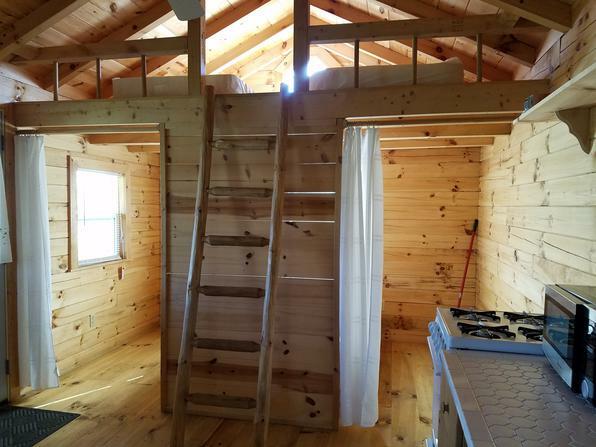 Our lake front cabins have air conditioning as well as heat! 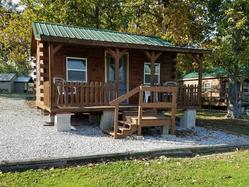 Cabin #1 Sleeps 4. Features a double bed on the main floor and two twin mattresses in the loft. Cabin #2 Sleeps 5. Features a double bed on the main floor and three twin mattresses in 2 lofts. 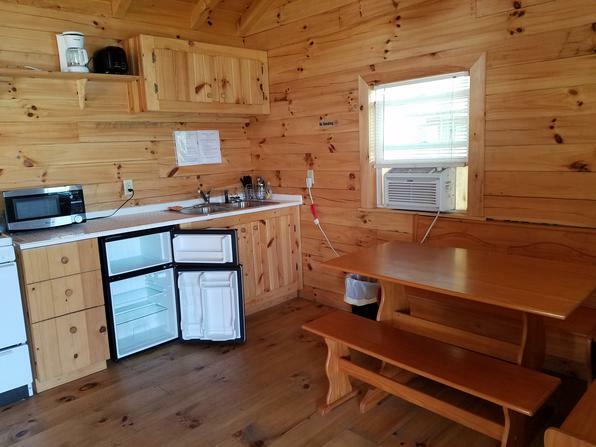 Both come equipped with mini frig, stove, coffee maker, microwave, sink, cooking and eating utensils. Linens and pillows are NOT provided. Sorry, no pets allowed inside cabin. Security Deposits Required. Damages will be deducted from the security deposit. Smoking in rentals will result in complete forfeiture of security deposit and ejection from campground.